You’re heading out on vacation for some much needed downtime. You’ve handed over your important work duties to someone else, let everyone know you’ll be out, set up out-of-office messages, and followed all of the other best practices for Information Technology vacation planning. You’re all packed up and ready to go. But have you given any thought to how you will keep your laptop, tablet, smart phone and any other work-related Information Technology devices safe and secure while you’re away? Thinking of taking your critical work devices while Information Technology vacation planning? If you’re going on holiday, my first advice is to avoid taking along your work-related Information Technology devices completely. After all, you’re on vacation. Let someone else handle things while you’re gone. Create a backup – Before you leave for your vacation, be sure that all of the devices you will be bringing with you are fully and properly backed up. This way if anything goes wrong your data will not be lost. Lock devices into your luggage while travelling – Don’t leave your devices laying around. Use a TSA-approved lock to lock them into your luggage while you are en route. Lock up your laptop while at the hotel – Have a plan for keeping your laptop secure if you will be leaving it behind in your hotel room. Depending on size constraints, the hotel safe may be a good option. Another option is to bring a cable lock. Most laptops have specific slots designed to accommodate these. 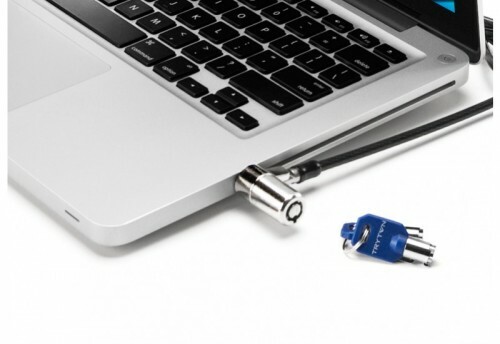 You can then use the cable lock to attach your laptop to something large and heavy in the hotel room, in order to make it more difficult to steal. Be wary of public Wi-Fi connections – Before entering your passwords or account logins, keep in mind that the Wi-Fi in public places, including your hotel, is not secure. In fact, most hotels mention this in the fine print associated with their Wi-Fi service. Take extra precautions when travelling internationally – To avoid getting slammed with huge mobile data charges, contact your carrier before you go. Let them know where you’re travelling to, and purchase an international data plan of some type. Review all of your applications that use location services and data, and turn off cellular data and location services for the applications that you will not be using. Adjust your data roaming settings, keeping in mind that work-related emails often have large attachments that can generate a lot of data usage. In addition, ask your carrier to send you instructions for how to dial out from the countries you will be visiting.It’s also a good idea from the fraud alert standpoint to contact your credit card companies to let them know your travel plans. Need help ensuring your work gets done while you’re away? If it looks like your Information Technology vacation planning is going to cause some big problems for the rest of your IT department, Coyote Creek can help. Our Contract Services team can bring in short-term contractors to pitch in during the vacation season. We have many great candidates with Information Technology backgrounds and would be happy to send you summaries about their experience. Our Managed Services team can take over monitoring and managing your environment completely. Or, if your organization is already an existing client, we may be able to send one of our Project Engineers to fill in for you. Simply give us a call to discuss your needs.